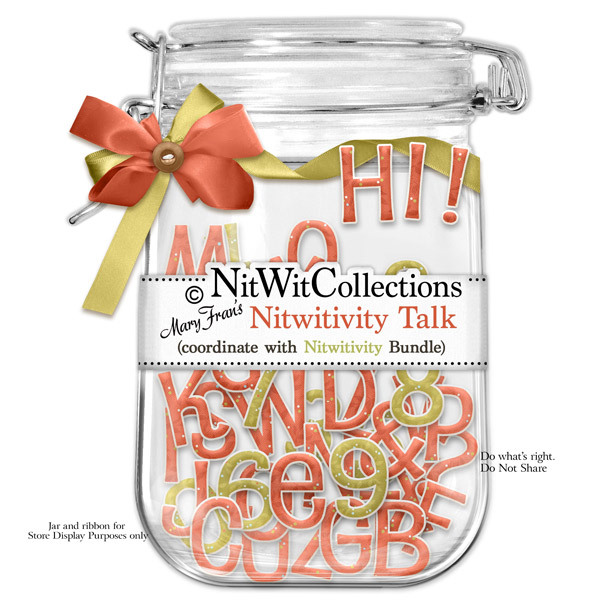 So I had such a good time creating up my "Nitwitivity" kit that I couldn't help but make an alphawit to go with it. I figured this way I can spell whatever words I want for my own layouts and you can too! How's that grab ya, peeps? 1 AlphaWit set of mostly uppercase letters, exclamation, &, question mark, period and set of numbers (0 to 9) Please note that the "a", "e" "r" appear as lowercase letters to add charm.